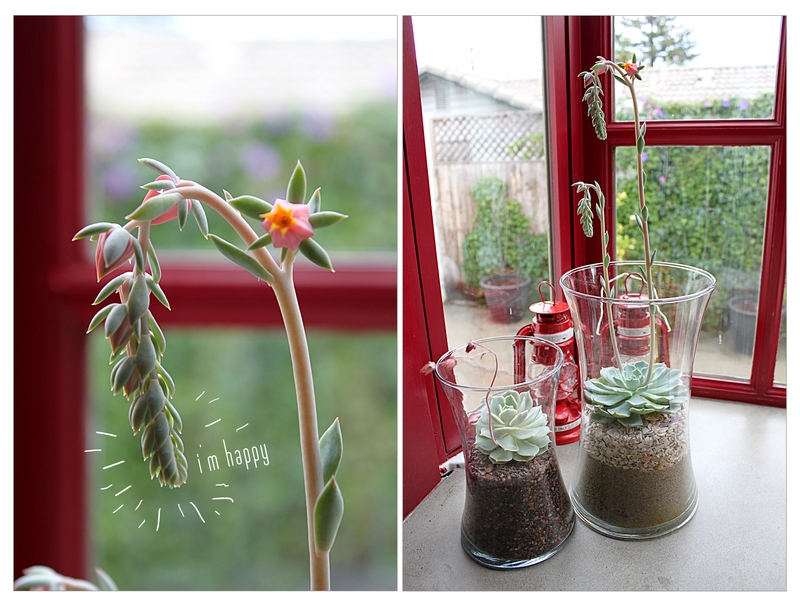 A couple of months ago, I posted a DIY for these cute little pebble and sand succulent terrariums. This past weekend I noticed that they’re both flowering! A good sign of a happy plant. They’ve been living in the bay window in the kitchen which gets plenty of sunlight. Isn’t that little pink flower amazing?! Love these guys! Here’s some fun terrarium inspiration. xoxo! Beautiful! Just love the photos and creativity :) Happy Planting! I missed the DIY post, but I love that your happy-plant results validate the project! Pretty. Also, because they are set into tall containers, the sand/pebbles will not spill out. That is the best part of all to me.